Stefan Kotz in Literature on 13 October, 2015. Dan Davies’ book on Jimmy Savile was awarded this year’s Gordon Burn Prize at the ceremony in Durham Town Hall. This opening event to the Durham Book Festival introduced five extraordinary short-listed writers, who seek to explore the borderland between fiction and reality. The ceremony was held in Durham town hall, a striking old building full of pictures telling stories of Durham’s past. 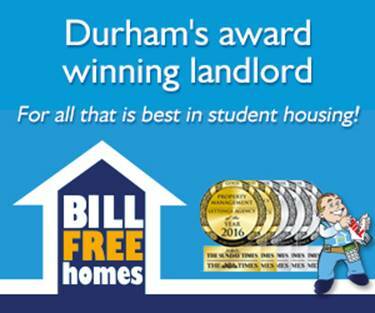 Students interested in finding out more of Durham city’s rich history should consider coming here just to discover the building. In the great hall, guests were treated to free wine, canapés, a complementary Durham distillery gin and tonic, and a musical interlude from Paul Smith (singer from Maxïmo Park) who wrote a song especially for this event. novels which dare to enter history and interrogate the past; writers of non-fiction brave enough to recast characters and historical events to create a new and vivid reality. Literature which challenges perceived notions of genre and makes us think again about just what it is that we are reading. Next up was Midland: A Novel Out Of Time, the debut novel of Honor Gavin, who also happens to be a talented musician and has produced various track songs alongside the book’s material. In the novel, Gavin fictionalises her own family history, describing three generations struggling in a midland city (Birmingham) described as being in a constant state of decay and reconstruction. Starting with the bombed canary of the forties, it leads to construction sites of the sixties, and ends with dwindling social housing sites of the eighties. She read a passage to the audience, in which she describes her grandmother working as a construction worker and the joy she feels at the thought of creating something with the strength of her muscles. Noontide Toll by Romesh Gunsekera, fellow of the Royal Society of Literature, is about a fictional van driver, who drives around the post- (very real) civil war Sri Lanka. It is a book that explores, in Gunsekera’s words, the “effect of the trauma of civil war” The van driver “has got to go north, and he has got to go south” thus interacting with the two former parties of the civil war and experiencing both sides. When asked about the experience of writing the author remarks that “all writers write about the past, or future” and “you can’t drive your van only looking forward, you got to look in the rear window, same thing with writing”. Original Rockers by Richard King, is described by the author as “a nature book about a record shop”, set in Bristol where the author used to work. In understanding the shop as its own micro-cosmos, as a “city within a city”, it is a book of nostalgia for past times, where music was still analogue, in which the author fictionalizes his own experiences and anecdotes. 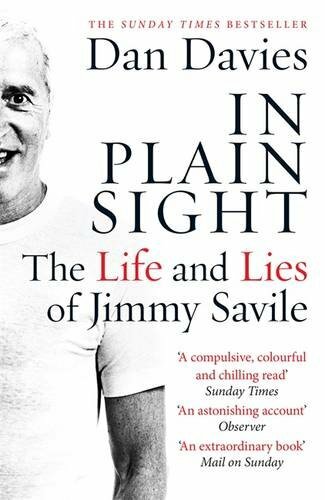 After the musical interlude with Paul Smith, the winner of the prize was announced to be In Plain Sight: the Life and Lies of Jimmy Savile. As part of the prize Dan Davies will receive £5000, and the opportunity for undertaking a writing retreat at Gordon Burn’s Scottish cottage. All short-listed books are available at Waterstones, make sure to check them out.